Product prices and availability are accurate as of 2019-04-24 23:41:26 UTC and are subject to change. Any price and availability information displayed on http://www.amazon.com/ at the time of purchase will apply to the purchase of this product. 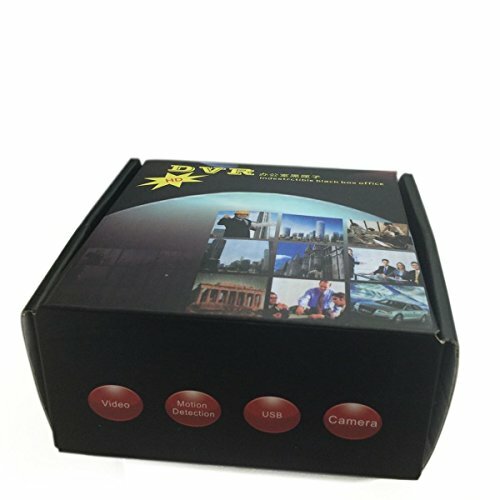 1.This item is wifi IP network real-time/live monitoring, All-in-one multi functions: non-stop video recording, photographing and sound recording. 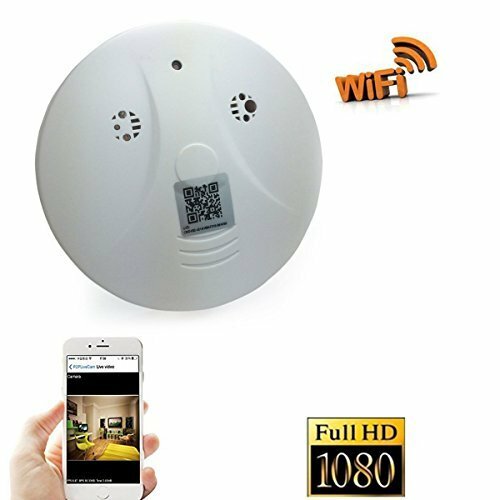 support smartphone tablet APP(Andriod and IOS system), PC(Windows and iMac system) to control and view;(NO smoke detection function) 2.This item is mini design, HD resolution(1920*1080,1280*720), a perfect choice for realtime monitoring your home security & surveillance, to monitor your babysitter or nanny, or keep an eye on your office or business. 3.This item is to available either battery power for short term use (up to approximately 8 hours of recording on a full charge), or plug into AC power for continuous 24/7 operation without battery life concerns to worry about. 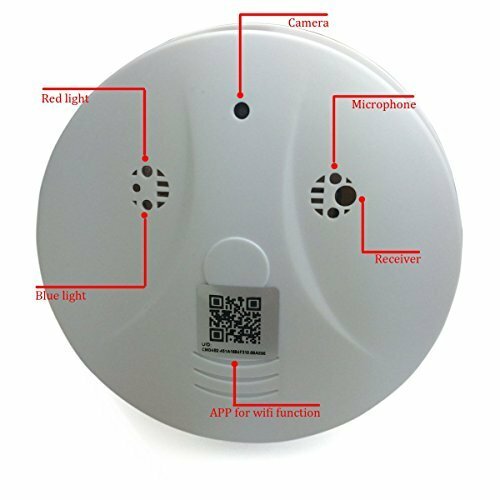 4.This item is authorized with FCC and CE certification, full 1-year US warranty and lifetime technical support provided directly from D-eyecam. 5.This item can support extensible 64GB Micro SD card maximally. can be played back on both Windows and MAC computers. No special software is needed for playback, however for optimum playback performance we recommend VLC Media Player (a free download).